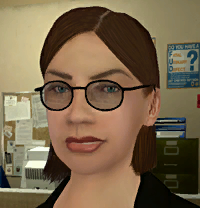 Mittens is the name used by a female love-meet.net user in Grand Theft Auto IV. No matter how many times Niko Bellic contacts her, she will never date him. From her profile, it is revealed that she is an avid cat lover. She states to love her cats more than anything. She also works as a nurse, but possesses a rather mean and nasty attitude towards her patients, namely children. This page was last modified on 26 October 2013, at 17:22.